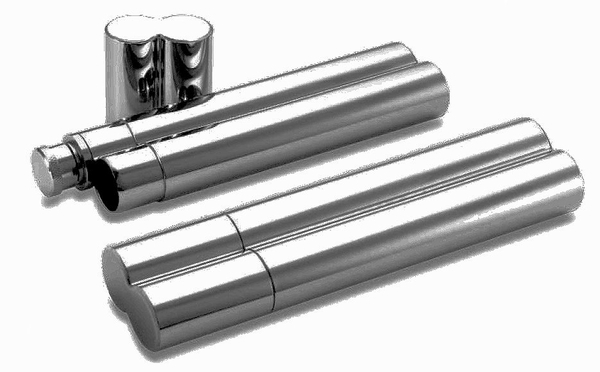 This high polished stainless steel flask and cigar holder will keep your smokes personal and safe. With its strong build quality you can be sure that your cigar will remain fresh and ready to be enjoyed at anytime. Engrave the cigar tube with a name, initials or message to make it a personalized gift for that someone special. Flask holds 2 ounces of liquid.